Take our classified ad software on your smart mobile phones. 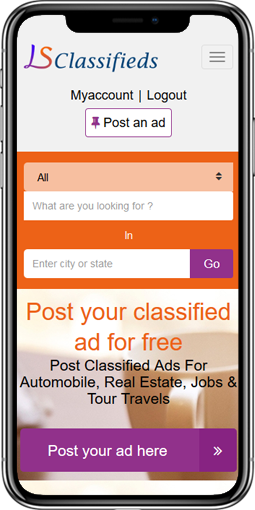 Our mobile application for craigslist clone will provide all the features of the website. Get in touch with Logicspice today to get a demo of your app. 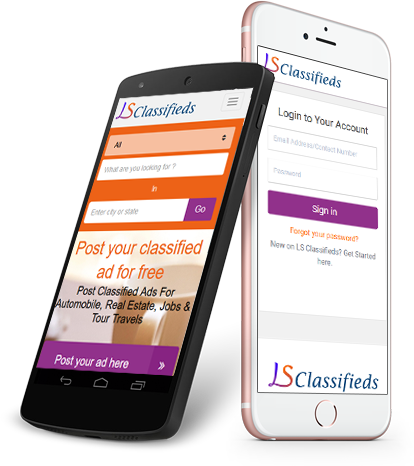 Users are allowed to post more than one classifieds free of cost using this classified script. Users can add their favorite classified to a list so that they can find them easily next time they visiting the site. Our classified software is seo friendly which can help you to improve your visibility in google. Admin can manage categories, subcategories, and all the classifieds listing. The admin panel is totally user-friendly and feature rich in this classified software. Integrated email verification for protection from spamming in this script. We can provide customized android & ios app for classified software as per your business requirement. Our classified portal app let the sellers post product and buyers can enquire regarding this. User can register on the portal for posting ad on the portal. Posting multiple picture relevant to your product give more details to the customer. Share this classified ad to the social media platform to increase awareness about the product and service. User can directly login through social media i.e. facebook, twitter and google+. User can search for the classified by city, country, keyword, category, subcategory. 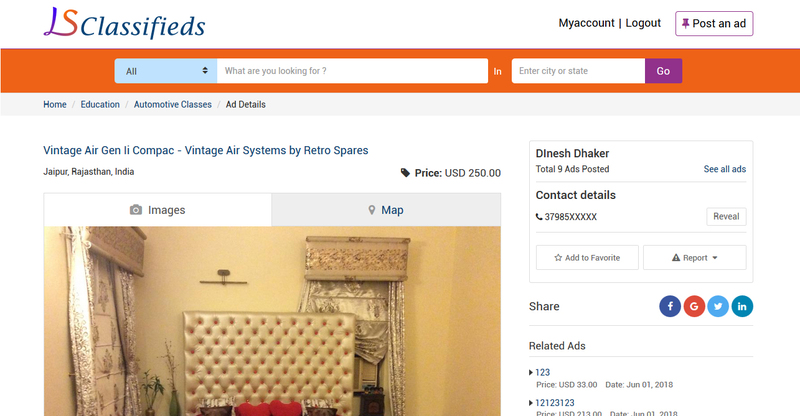 User can post classified by giving the required details with the relevant images. 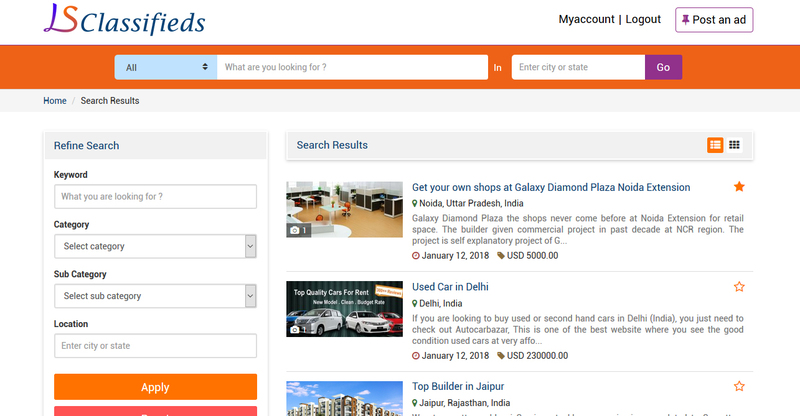 User can view the search as per Classified Category and and view it in detail. User can Post classified to the individual location if your ads is more relevant to particular city. 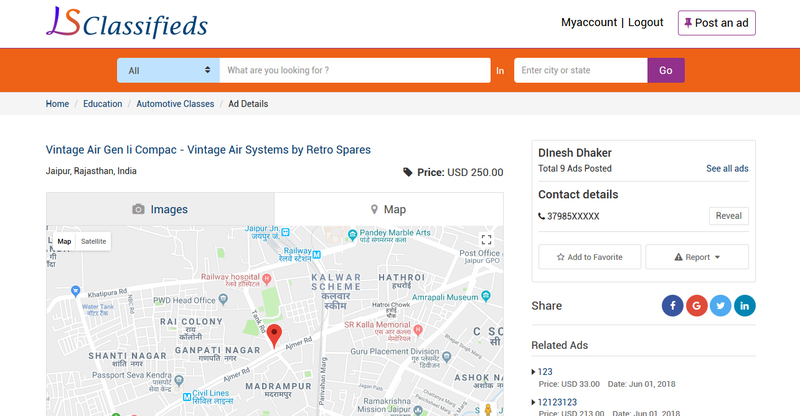 User can view the classifieds where the user can view details in with name, city, images, map, price, description, comments etc. User can contact to the classified ad owner through message to get more information about product. User can view the alerts using email. Admin can login securely in Admin Panel. 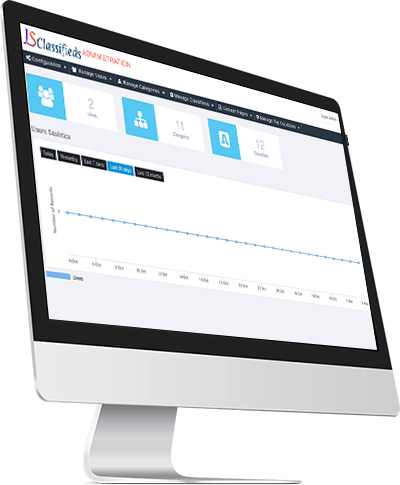 Admin can view total counts of Users, Classifieds & Categories. Admin can view the Users Statistics for today, yesterday, last 7 days, last 30 days & last 12 months. Admin can view a list of all Users. Admin can manage (add/edit/delete) all Users. Admin can search users by entering a first name, last name, email or created date. Admin can apply filters using a date. Admin can change a username, password, email, set contact us address & can do site settings. Admin can view the list of categories. Admin can manage (add/edit/delete) all categories. Admin can view the list of sub-categories. Admin can manage (add/edit/delete) all sub-categories. 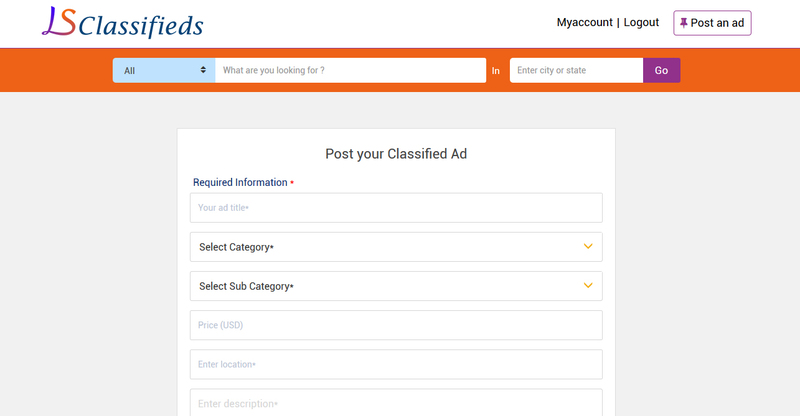 Admin can view the list of Classifieds. 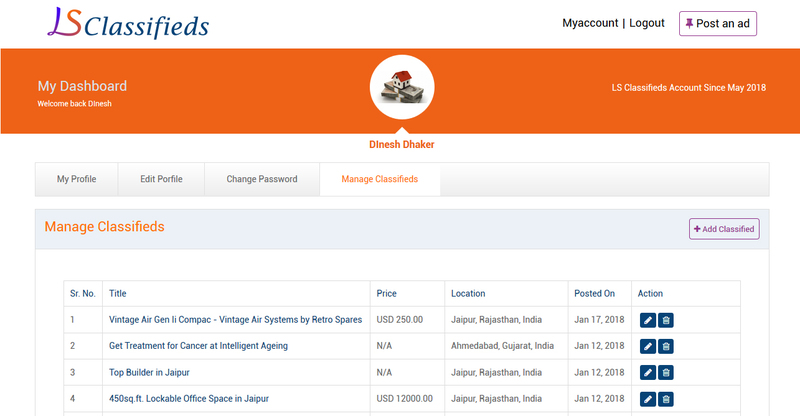 Admin can manage (add/edit/delete) all Classifieds. Admin can view the list on comments over classifieds. Admin can approve & Disapprove comments. Admin can manage(add/edit/delete) all front end content of the website. Admin can view list of top locations & can manage(add/edit/delete) all Top Location. Admin can activate & deactivate the categories. What does our Classified Ads Script offers you ? The classified script has a product or service page with full details, owner details, you can directly contact to the owner for enquiry. Seller can add number of products and services for free on this craigslist clone. "I installed this classified ad script and it is working properly. I appreciate logicspice and their support team, Thank you!" "Recently I bought this script from logicspice and it worked really nice. I recommend for all whom looking for a ready-made script, it's really nice." "Well functioning script and the team is very professional & always put in extra effort, technically strong knowledge. Best after sales support." How can a user search for classifieds around his location? User can enter his city in the website and all the items that are around will be listed to the user. Can a user upload one classified ad in multiple categories? How many days it will take to implement? It will take 7 days to implement your php Classified script. Can a user upload multiple classified ads to the website? Yes, a user can upload more than one classified ads to the website. Can a user view the contact information of the seller? Yes. If a seller chooses to share his contact information on the website, the user can see it.